Here we are at the end of the week. I hope you had a great week and are looking forward to a wonderful weekend. Today, I have part 2 of the interview that I published yesterday. 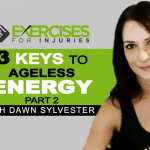 If you missed yesterday’s interview, you can check it out here. 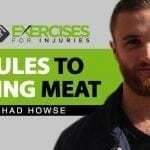 The highlight of that interview are the 5 Rules To Buying Meat. In today’s video, we build on the meat topic and talked about the best sources of protein for your diet. In this day and age when we can no longer get all the nutrients our body needs from food, supplements play an important role in keeping us fit and healthy. 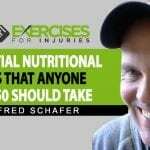 Learn about the best supplements as well as great sources of protein for men’s diet in this second part of my interview with Chad Howse. 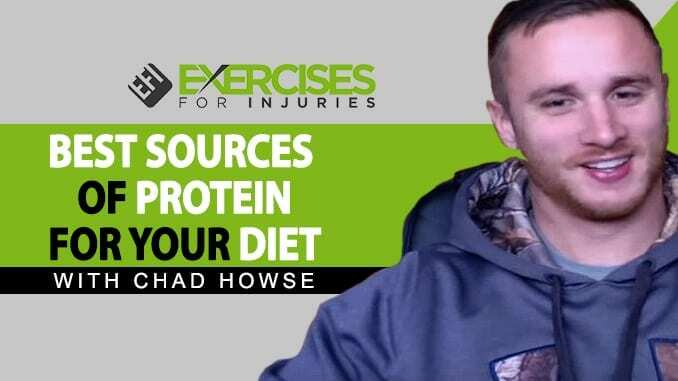 Click here to learn more about Chad Howse. If you know someone who would be great to interview, please do email. Or if you have an injury story or something that would benefit health and fitness professionals, please contact me. P.S. – If you would like to learn more about Chad Howse’s The Man Diet program, you can check it out here.